Flute Embouchure and a Teardrop Top Lip – It’s great that this is the number one post. My hope is that it means more kids will have the opportunity to play the flute rather than being talked out of it because they have a prominent teardrop and need to shape the aperture off-center. Warm Air, Cold Air: Sense or Nonsense – Along with rolling to correct intonation and the “Kiss and Roll”, the warm air/cold air explanation for low and high notes is one of the silliest and least true thing we tell kids about how blowing on the flute works. It’s simple. If the aperture is open enough for the air to be warm, the air is moving too slowly to make a good sound. It will be fuzzy and unfocused. Thank you for reading Dr. Cate’s Flute Tips. It is so gratifying to hear from all of you that you find the blog useful to you. New things in development include some more posts on pedagogy, products I endorse and use in my teaching and playing, a book of tone and technique exercises just for band flute players that can be used in sectionals and individual home practice, and industry sponsorship. Dr. Cate’s Flute Tips would not be possible without the support of KHS America and their flute brands: Altus, Azumi and Jupiter flutes. Helping our students take proper care of their instruments is an important part of the instruction we provide, especially when the kids first start playing. It is important to give the kids accurate information so flutes play their best. 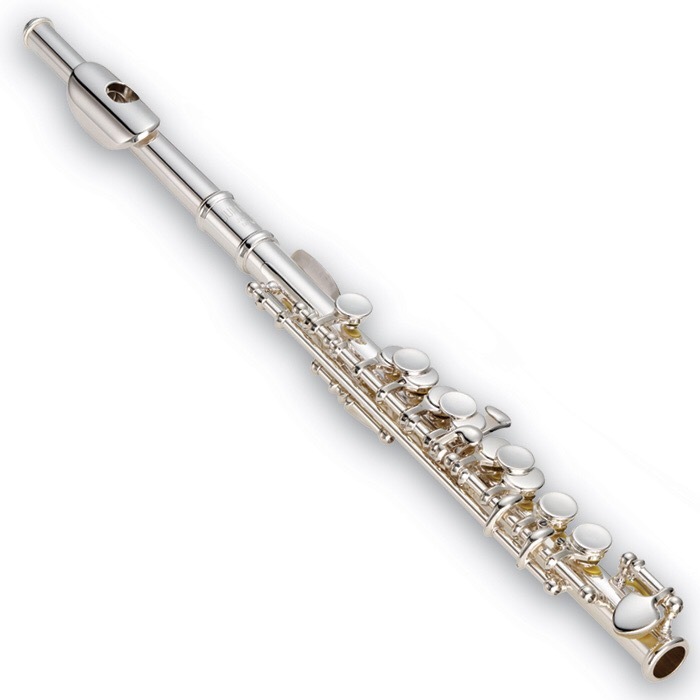 Don’t ever use petroleum jelly or slide oil on the tenons of flutes or piccolos. It just makes a gummy mess. The petroleum jelly attracts dirt and gets thick and gummy. I saw a wooden school piccolo recently that someone had put petroleum jelly on the cork. Yuck! It was a mess to clean up. For loose footjoint tenons, a small swipe of clear nail polish on the body tenon (let it dry thoroughly before assembling) will hold a loose tenon temporarily until it can be properly adjusted by a repair technician. Best solution for ill fitting tenons is keep them clean and have it adjusted by a repair technician. Do swab the flute out thoroughly after playing. Also do blot the pads with tissue paper or use a product like the BG Pad Dryer, especially if you blow wet, like I do. Don’t ever pull tissue paper or a BG Pad Dryer out from a closed key. You will rip and/or fray the pad skin necessitating pad replacement. Don’t ever use a dollar bill to blot sticky pads and don’t pull them against a closed key like above. The ink just makes the pads dirty, or worse, rips or frays the pad skin. So called Pad Savers. If they are used to swab the instrument, they should not be stored inside the instrument. Pads deteriorate faster because they hold the moisture in the instrument. The Pad Save gets moldy. If the flute is swabbed with a cloth first, then the Pad Saver can be stored in the flute. One more big don’t…..Don’t store your cleaning rag in the case, pushing down on the keys. It will put the instrument out of adjustment more quickly. Ask your local repair technicians. Tie the rag to the handle of your case, or better yet, get a case cover. Store the cloth in the case cover. When I was a grad student, my flute professor said to me, “It’s obvious you have a very active inner musical life. The problem is, I can’t hear it.” To say that this was a light bulb moment for me would be a bit of an understatement. This observation really shook me to the core and completely reordered my priorities in my practicing and performing from that time forward. What I realized is that there is a big difference between what I thought I was doing and how it was coming across to my audience. It was when I devised a simple, somewhat tongue-in-cheek rule for myself that has proved to be really useful as a way to monitor my playing and face the truth about how effectively I’m communicating the composer’s intention through my playing. “If you can’t hear it, it doesn’t count.” As I’ve reflected on my “rule”, I’ve discovered there are as many corollaries as there are parameters to playing. There is seemingly an infinite number of things I can hold myself accountable for in my performing including technique, articulation, tone quality, phrasing, inflection, tone color, expression, etc. Along with tonguing the repeated pitch, let up ever so slightly on the blowing at the end of the first note before tonguing the second note. It gives a little more definition. The type of articulation mark determines the length, but there should always be a slight lift for definition. It takes a special effort to define and delineate repeated notes on the flute because the nature of the flute is to sound legato. Other wind instruments with a legato character include the clarinet and the horn. They face some of the same issues with regard to repeated notes as flute players. As the great French flutist, Marcel Moyse, said, “Play the music, not the flute.” In other words, figure out how to get the flute to meet the demands of the music rather than acquiescing to the nature and inherent weakness of the instrument. You can hear me demonstrate playing repeated notes here. There is a lot of variation in types of piccolos available on the market today, maybe more variation than for any other band instrument. There are all metal piccolos, plastic piccolos, combination plastic body with metal head piccolos, wooden piccolos, plasticized wood piccolos…….the list goes on. 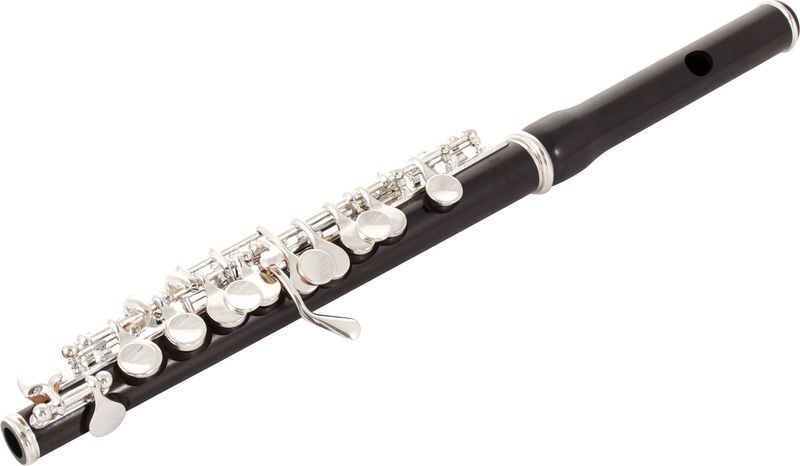 So how do you know what kind of piccolo to either buy for your instrument inventory or recommend when students decide to buy their own piccolo? First of all, there are two basic kinds of bore configurations: conical head/cylindrical body or cylindrical head/conical body. In general, metal piccolos are conical head/cylindrical body and plastic or wood piccolos are cylindrical head/conical body. Guo New Voice and grenaditte piccolos – all the benefits of all plastic piccolos, plus weather proof silicon pads. The grenaditte also has the added benefit of having more wood-like qualities because the material is a plastic/wood composite with grenadilla. Wide range of applications from marching band to concert band to orchestra. Wood body and head – sweet, warm sound. For indoor use only. Important to protect from extremes of temperature and humidity to avoid cracks. Traditional pads. Like flutes and other woodwinds, piccolos need regular maintenance. Yearly maintenance is what is recommended to keep piccolos in top playing shape. 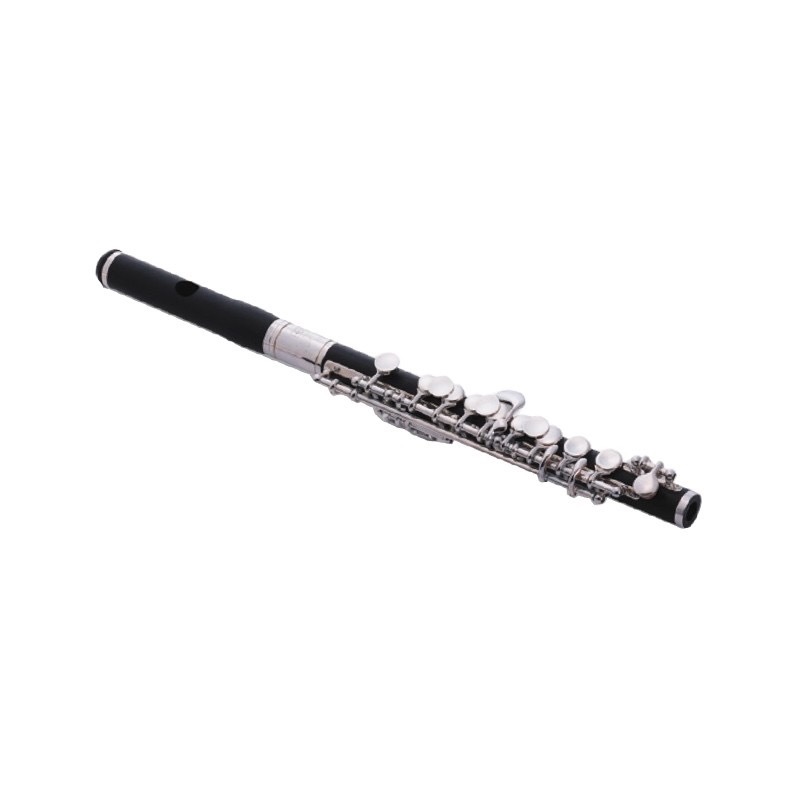 Keep in mind, because of the small size, you may not be able to detect mechanical problems as easily as on a flute or other woodwind. The player can certainly hear and feel the problems. It is also extremely critical that the headjoint cork be placed correctly. Even half a millimeter can make a difference in being able to play in tune. The correct distance should be 13mm. A side note is that in my experience, school piccolos are more often than not the worst maintained instruments in the band inventory. They often haven’t been properly serviced in many years. Imagine how disheartening that is for the kids that have to play them. 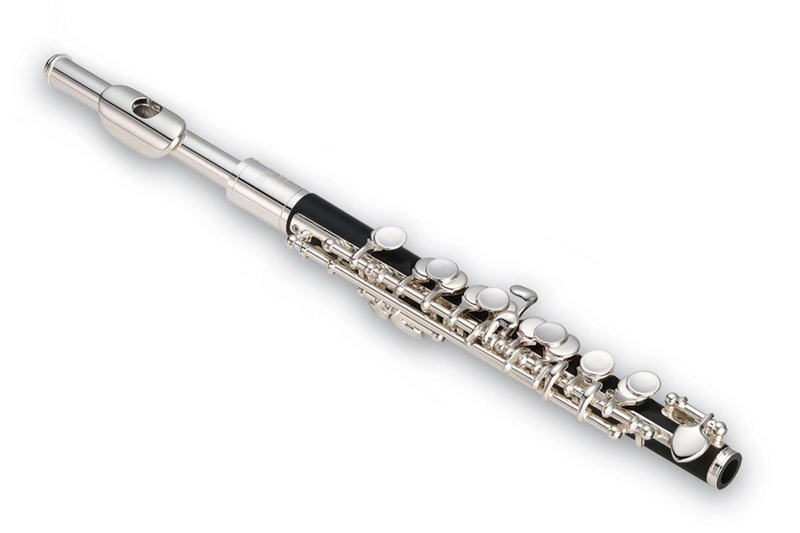 I frequently counsel students to just go buy their own if they want a good experience playing piccolo.